The Showstopper....Mr. Wrestlemania himself, Shawn Michaels, joins Steve on a classic episode of the podcast. 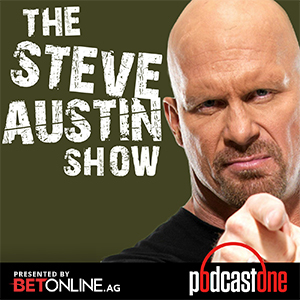 Be here as Steve and Shawn talk about retirement, hunting, advice from wrestling legends, Shawn's book WRESTLING FOR MY LIFE: THE LEGEND, THE REALITY AND THE FAITH OF A WWE SUPERSTAR and the time the Heartbreak Kid almost became a TV sportscaster! Be a hero this Valentine's Day! Order and save today on Valentine's bouquets and arrangements at 1800Flowers.com and promo code AUSTIN.